FLIR Käsikäyttöiset lämpökamerat: Ex, Exx, T4xx, T6xx T1020 tms. Most modern FLIR cameras come with a ‘MicroSD to SD’ adapter, so make sure that the MicroSD card is plugged in securely into the adapter. Check the switch on the side of the card to ensure that it is not locked. If possible try a different card. 2. Remove and re-seat the lens. T6xx and A6xx will show a solid blue screen when the lens is loose. P6xx and SC6xx will show a checkerboard pattern when the lens is loose. 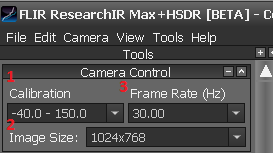 I cannot get my high-speed interface box to work with my FLIR T10x0 camera. What can I do to fix this? To enable streaming between your camera and a computer with a high-speed interface (HSI) box in between them, your computer needs to have the latest USB3 drivers. For computers with an Intel 8/9/100 series and C220/C610 chipset family, drivers can be downloaded here. 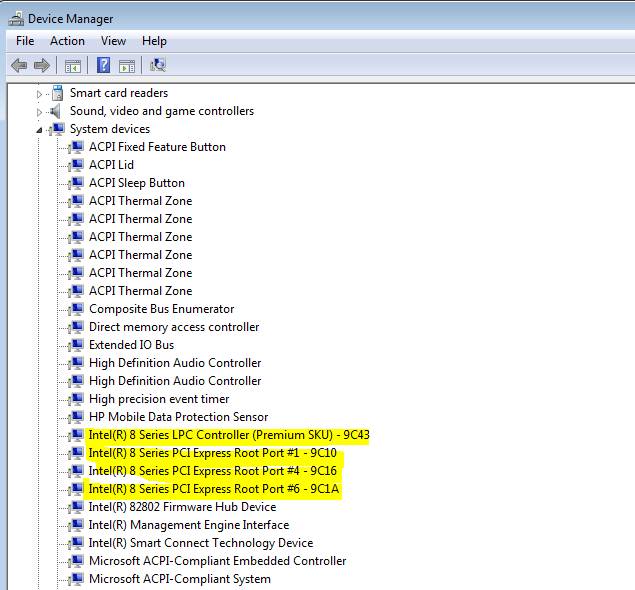 For other computers, update to the latest drivers via Control Panel > Device Manager > Universal Serial Bus controllers: right-click on USB3 Controller and select Update Driver Software. Note: The HSI box might not work correctly for computers with USB controllers (chipsets) other than the Intel 8/9/100 series and C220/C610 chipset family even after updating. If there are problems connecting, use a different computer if possible. Secondly, install the Pleora redistributable package, found here. Go to All Programs > Pleora Technologies Inc > Driver Installation Tool (administrator rights are needed). Look next to USB3 Vision, and make sure the drivers are installed. The Install button should be grayed out. If it isn’t, press Install, and install the drivers. If the HSI box is supported by the USB3 port on your computer, you will see one quick blink followed by sa teady blue light on the box. If the LED is not lit, there could be problems with the USB3 port. First, wait a few minutes: the HSI box may need time to initialize. If there is still no steady light, try unplugging/replugging the cable a few times. If that doesn’t work, check if the Pleora drivers are correctly installed: go to All Programs > Pleora Technology Inc > eBus Player. Press Select/Connect: there should be a line with Intel… followed by T1K—check the status of the T1K device. This computer has the Intel 8 series chipset. What are the available frequency and range combinations for the FLIR T1030sc/T1050sc with a high-speed interface (HSI) box in ResearchIR 4? When a FLIR Ex series camera with firmware version 2.1.0 is connected to a Windows PC, a file that is linked to the USB port in use is installed. This file prevents Windows from connecting to the camera. To make this USB port work again, and to be able to update the firmware in the camera, a new file, called flirusb.inf, has to be installed. If the camera has been connected to more than one USB port in a PC, this new file must be installed for every USB port that has been connected to the camera running firmware version 2.1.0 (applies to Windows 7 and XP, but not Windows 8). A suggested procedure is to first install the file for one USB port, then to update the camera software, and once the camera software has been updated, to check the other USB ports. After the camera software has been updated, it will connect properly to USB ports that were not used with the camera running firmware version 2.1.0, and it will not be necessary to install the updated driver. Hence, you will only need to update the driver for USB ports when absolutely necessary. Download flirusb_signed.zip, unzip and save the files flirusb.inf and flirusb.cat to a suitable temporary location on your computer. Note: The two files must be saved in the same folder.